Dedicated Development teams are virtual teams of skilled developers that are committed to completing a project. They are best suited for mid to long-term complex projects or projects that require expert technical maintenance over a period of time. Working with dedicated teams also provide the project manager with immense oversight of the project. Dedicated development teams are valuable, but what makes your team exceptional is a great manager! Let’s take a look what web developer rates they deserve. A team is a reflection of its leadership, and good management can turn capable virtual teams into great dedicated development teams. Below are just some action points that would bolster the handling of your team. Always have a plan before doing anything. Plan out the necessary details of your project beforehand; objectives, scope, timelines, deadlines, priorities, and other necessary details of your project. Having a clear plan as to the scope and limitations of your project will greatly aid you in hiring the best people for your project. Before diving into your project, communicate to your team your vision for the project. This will help your team members understand act according to the goals you set for the project. Also, clearly expressing and discussing your expectations for the project and your team, along with tangible deliverables and deadlines, will help ensure that your team work according to your objectives for the project. Regular check-ins with your team will strengthen communication lines can be a platform for updates and feedback between you and your team. Having a plan and a vision is good, but things will arise and may affect that vision. There is a good chance that your software developer team has worked for various other projects, thus would have a wealth of skill and experience. With regular communication with your team, they will have input and feedback on your project, encourage it and discuss it amongst yourselves. This not only improves communication between you and your team, but will also go towards improving your project. Working with virtual teams ensure that you have someone working on your project around the clock. Take advantage of this! If you have developers that is working ahead of you, make time to review their work and adjust your work and plans accordingly. And if you were in a timezone that is ahead of your developers, take the time to plan and organize for the needs of your developers. Conflicts in working with virtual teams are mostly due to lack of communication. Discuss your goals and vision for the project with your team, and consider their feedback when presenting your deliverables and timelines. Be flexible and open minded, but stick to your overall project goals! Be respectful, but honest. If issues arise, examine the root cause and work with your team to arrive an acceptable conclusion. With the high demand for remote dedicated teams, web developer rates around the world have been competitive. We found that it is most cost-efficient to hire dedicated development teams from Ukraine, which clocks at an annual average of $29,163. The table above outlines the the average IT salary, including coder salary, in Ukraine. Pairing cost-efficiency and good team management, hiring or building your dedicated development team would be most suited to you project needs. And with the most cost-effective approach to this is hiring dedicated teams from Ukraine, Mobilunity will help you! Mobilunity cap provide you with expert and well vetted dedicated development teams that will be committed to achieving your project goals, and at a manageable cost! 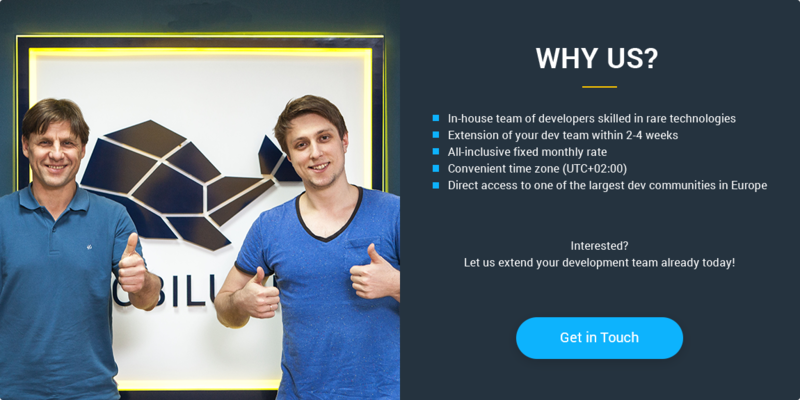 Mobilunity will provide you with the dedicated development team best fit for your project needs! How Much Does It Cost to Hire Overseas Startup Developer?